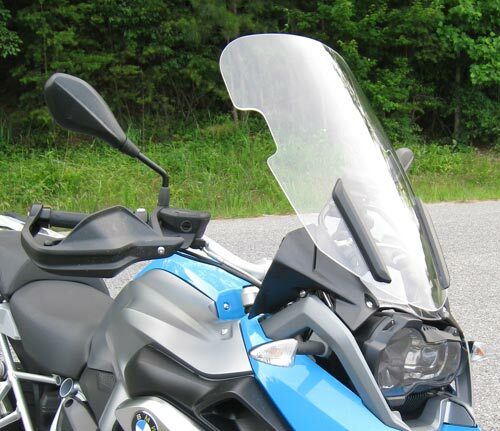 The BMW R1200GS motorcycle and windshield are not the best aerodynamic design, but Parabellum developed a better shaped, taller and wider windscreen which smooths the air around the rider for better protection and increased gas mileage. The stock shield is only 15 inches tall and 15 inches wide. 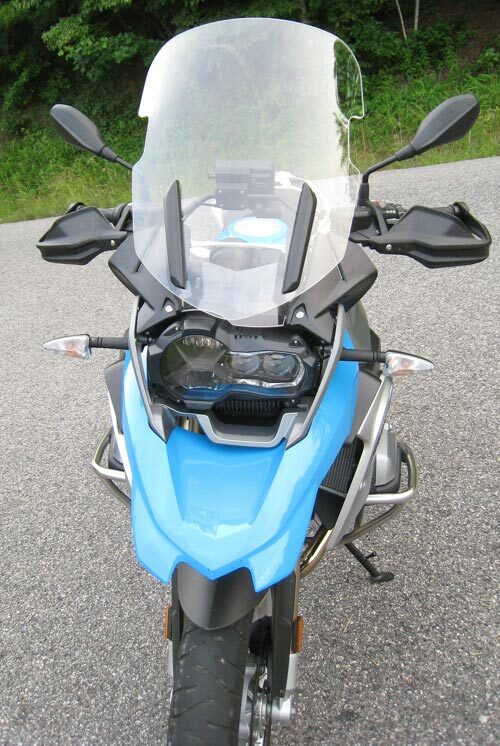 The Parabellum windshield for the BMW R1200GS is made of .177" military aircraft grade cast acrylic chosen for it’s optical clarity which will not yellow and lose it’s properties over time like car headlights made of polycarbonate. It utilizes the stock mounts and is 17 inches wide and offered in three heights and in clear or tint.